Most experts believe that innovation in every aspect of patient care will be nothing less than astonishing as we move into the next century. Technology and the Future of Health Care brings together a remarkable group of health care visionaries who have identified and begun to analyze which trends and technological advances will likely shape and inform the next generation of medicine. From fundamental advances in computing and administration, research, nursing, and patient care delivery to noninvasive surgery, biomolecular therapies, bionics, and beyond, this ground-breaking book offers professional, executive-level insight into topics that until recently existed only in the realm of science fiction. 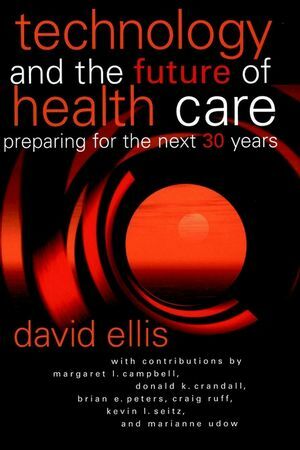 David Ellis is the author of Technology and the Future of Health Care: Preparing for the Next 30 Years , published by Wiley.